This popular, long-running radio show is co-hosted by UC Master Gardeners Jim Maley, Bader Kudsi and Sharon McCray. A wide variety of farm and garden topics are covered on each show and listener calls are encouraged (408-260-2999). Listeners are invited to drop by the studio for an informal discussion on horticultural topics. Join us for this three-hour radio show. 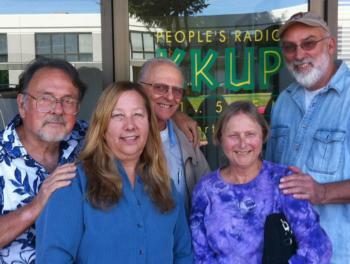 See the KKUP Facebook page for information on the next show, links to past shows, and more.